Will Sawdust Inn build a project for me? 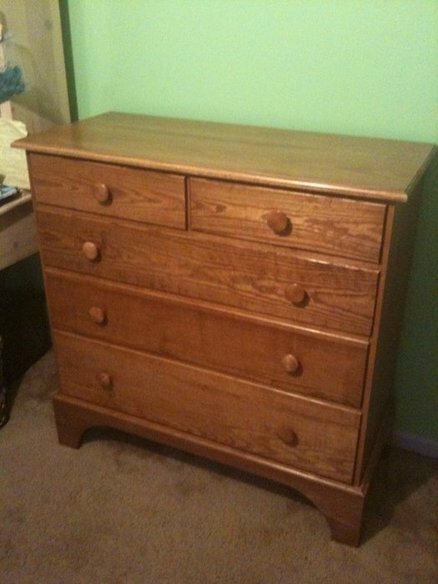 This hand-crafted chest uses solid wood instead of particleboard, increasing costs to build it. Woodworkers often times find themselves in the same category as the guy who owns a pick-up truck. A pick-up is perfectly designed for moving things, and having a friend who owns one would certainly be cheaper than renting a moving van. So, its very logical to reason that a you could go to a woodworker who has “all the tools” and get something built for a lot less than you would pay at the store. I often get asked by friends, “Hey, can you build this for me?” The short answer is “yes.” But you may be in for sticker shock. I once had an architect friend ask me to build a set of furniture for his office, which included a drafting table. He had shopped around and figured he could save money by having me build it for him. I drew up the plans and and submitted an estimate of $2,600. He couldn’t understand why my price was so high, since he could buy it at IKEA for half of what I quoted. In reality, a local woodworking hobbyist like myself simply can’t build something cheaper than you can buy from most furniture retailers. Furniture-making companies are set up for mass production, using cheaper materials like paper-laminated particleboard, automated machines and foreign labor. And, I don’t get bulk discounts because I don’t buy semi-truck loads of lumber at a time. Generally, I’ve found the retail price of something at a furniture store will just cover only the cost of materials for me to build it. Most woodworkers don’t use the cheaper materials that are found in a lot of factory furniture. After I include labor, bits and blades, and maintain my small shop equipment, I can expect the cost for a handcrafted piece to at least double that of a furniture store buy. Let me add that there certainly is a place for IKEA-type furniture. I have some in my home. It simply depends on its intended use and how long you need it to last. For example, if you’re looking for a small child’s bedroom suite to last until her teen years, IKEA is a good choice. But if you want a bedroom suite constructed with solid joinery and made with quality workmanship that she will be able to hand down to her children and grandchildren…the Sawdust Inn can do it! It just might cost a little more. Be the first to comment on "Will Sawdust Inn build a project for me?"